China expresses concern over Trump's conversation with Taiwan president. US President-elect Donald Trumps spoke to Taiwan President Tsai Ing-wen on Friday about the countries' political, economic, and security ties. President Tsai Ing-wen, who is also Taiwan's first female president, called Trump after the US elections to congratulate him on his victory. The US closed its Taiwan embassy and cut ties with Taiwan in 1979, after President Richard Nixon's visit to China, adhering to the "one China" principle and considering Taiwan to be part of the Chinese mainland. The Chinese newspaper Global Times warned a US-Taiwan relationship constitutes a potential threat to US-China ties. "That means the current pattern between Beijing and Washington, as well as international order, will be overturned. We believe this is not what Trump wants," the newspaper warned. White House Asia Director Evan Medeiros told the Financial Times, "The Chinese leadership will see this as a highly provocative action, of historic proportions. Regardless if it was deliberate or accidental, this phone call will fundamentally change China's perceptions of Trump's strategic intentions for the negative. With this kind of move, Trump is setting a foundation of enduring mistrust and strategic competition for US-China relations." "The President of Taiwan CALLED ME today to wish me congratulations on winning the presidency. Thank you!" tweeted Trump. "Interesting how the US sells Taiwan billions of dollars of military equipment but I should not accept a congratulatory call." Taiwan presidential spokesman Alex Huang told NBC News, "Maintaining good relations with the United States is as important as maintaining good relations across the Taiwan Strait. Both are in line with Taiwan's national interest." 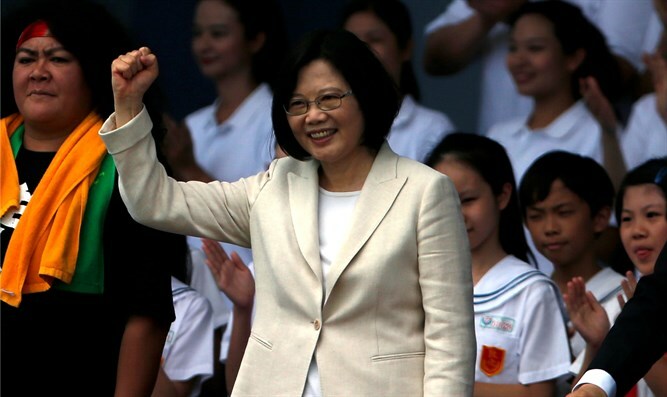 Taiwan's presidential office also said Tsai "hopes to see a strengthened interaction and connection, as well as a closer cooperation between the two sides." China's Foreign Ministry said on Saturday it had filed a complaint with the "relevant side" after the US-Taiwan phone call. According to Adrian Brown from Al Jazeera, "A spokesperson said China opposes any official contact or military interactions between the US and Taiwan. It is not what was said that will upset China, but the symbolism of the US president-elect directly speaking to the Taiwanese leader." On November 14, Trump spoke with Chinese President Xi Jinping. The two leaders spoke of cooperation, and Trump said afterwards that they had a "clear sense of mutual respect."